As a newborn photographer in Pittsburgh, I make sure that your session feels natural, simple, and sweet, with a primary focus on your baby’s unique features and your family’s bond! We can do your newborn session at my Pittsburgh Photography Studio for a bright, simple, comfortable, and neutral background. Or, we can meet at your home for a more “lifestyle” feel. 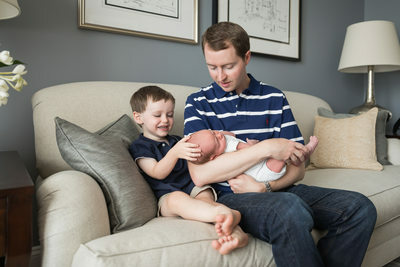 Clients with newborns often prefer to shoot at home because it adds a uniqueness to your imagery and is a comfortable environment for the whole family. I prefer letting baby pose him or herself and minimal to no use of props. This creates a natural, unique, and timeless image that will make you smile and help document this moment in time for your family. More on my style here. During my sessions I will capture a mix of posed family portraits that will flatter you, as well as more candid shots that will capture your personalities and the joy of having a new baby. We usually do some family portraits in the beginning of your session and spend the rest of your session photographing your new baby. 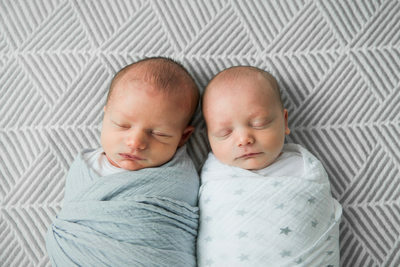 If baby has older siblings, this will be an important part of your shoot... capturing a beautiful portrait of the older siblings welcoming your baby into your home. Do you have pets? I love to to incorporate high- or low-energy pets in your newborn shoot, with unique portrait strategies for all types of pets. The goal is an adorable baby & pet portrait that is created in a way that is completely safe for your newborn. 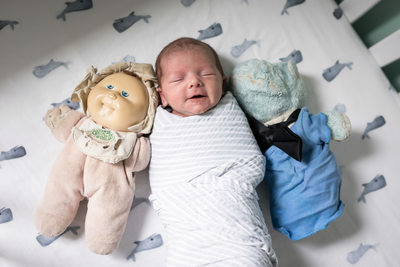 Newborn babies are best photographed in their second week, but we can do a newborn photography session when your baby is up to two months old. 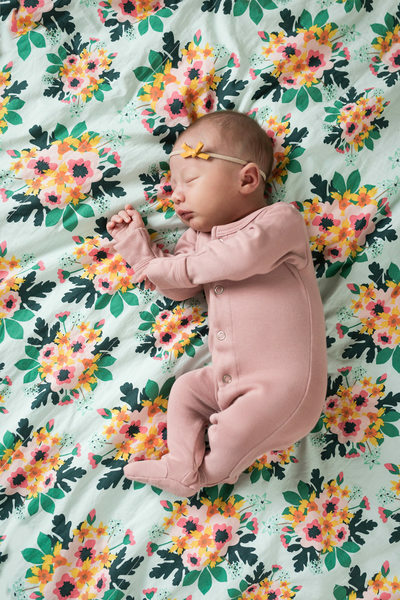 Preemies and special needs babies tend to require a shoot a little later on–we will usually use baby’s adjusted age to calculate the best time for your shoot in these special circumstances where baby may have spent time in the NICU. I offer a Baby Plan that includes newborn through baby’s 1st birthday. You receive items that you can cherish for a lifetime and pass down to your child. 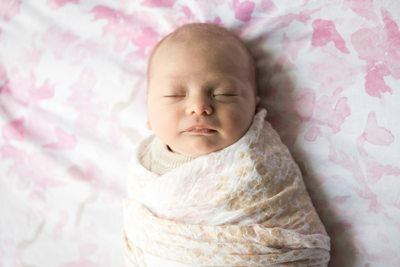 More info about newborn sessions, including pricing and planning info, is available here. Thinking about booking a newborn session with me? 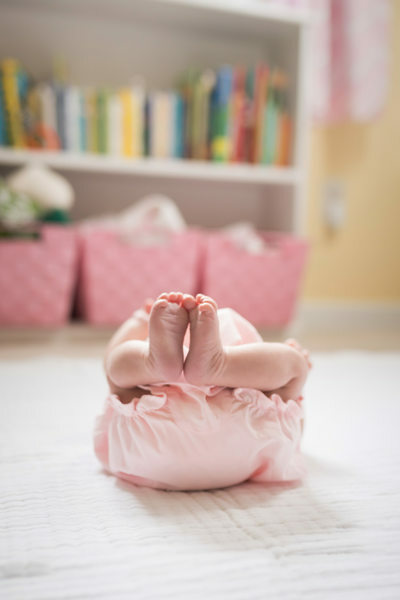 Most of my clients book in the second trimester, but I can usually fit in a newborn session within a couple weeks. Get in touch for more info!